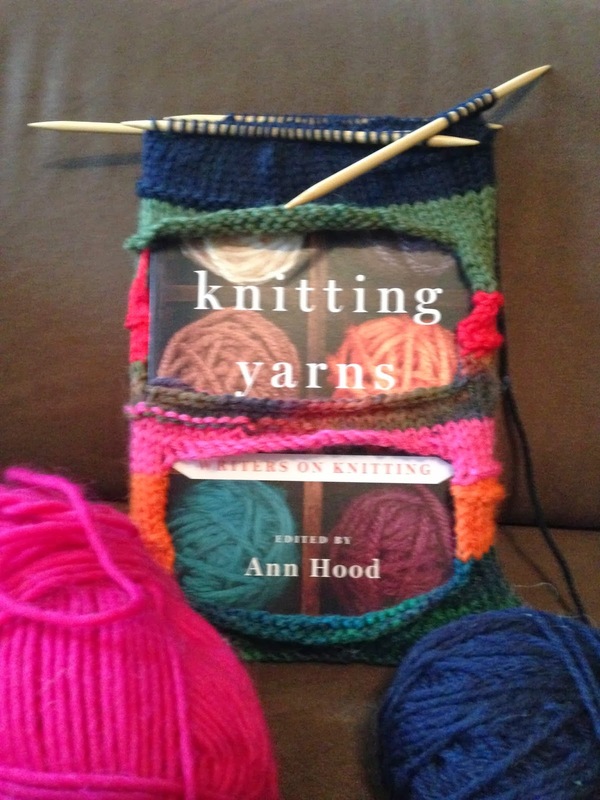 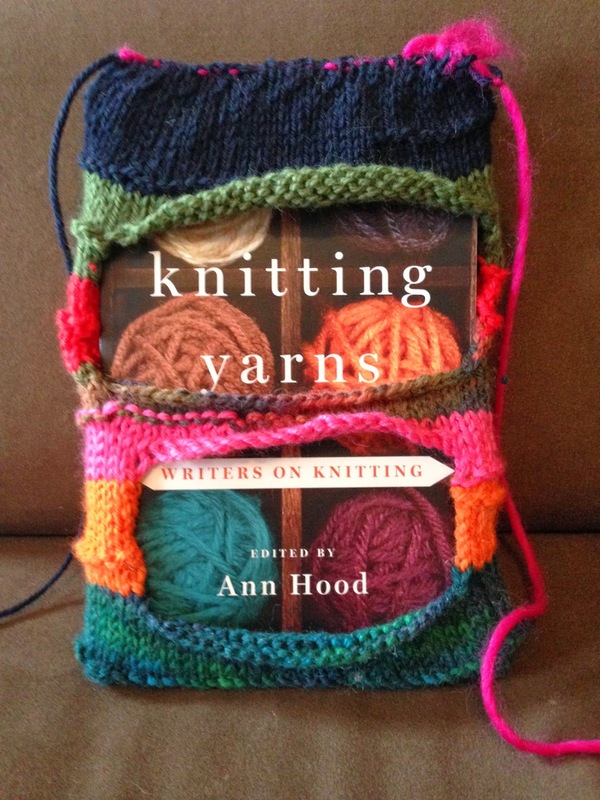 Taylor M. Polites: Knitting Yarns Pub Day! 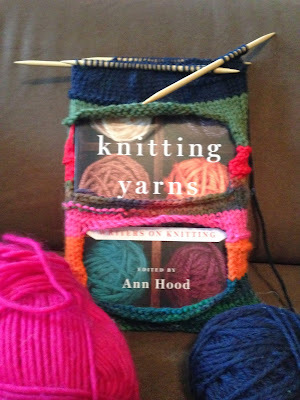 I was so busy posting about Knitting Yarns on Facebook and twitter, I forgot to post it on my blog! The amazing Ann Hood edited the book and she assembled an amazing group of writers. 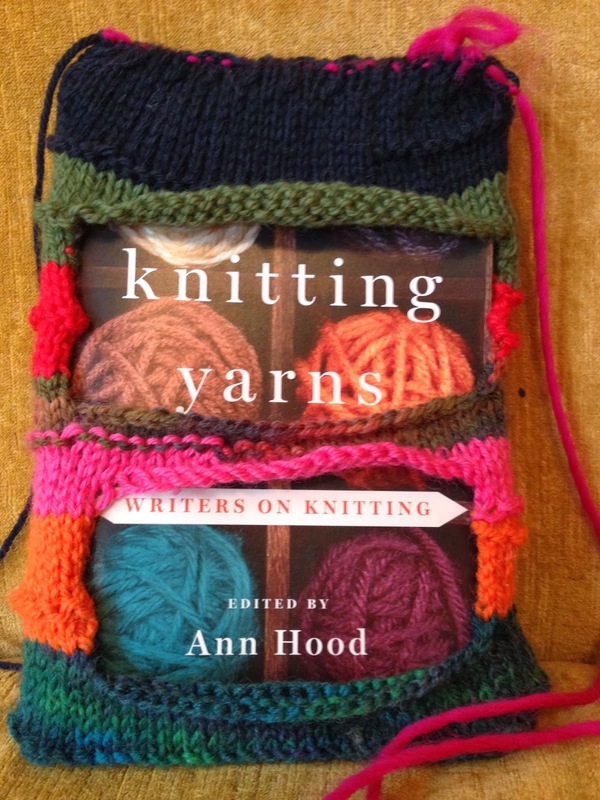 I am so proud and humbled to be among them, each writing in unique, heartbreaking and funny ways about knitting and the knitters in their lives. The book came out yesterday with yarn bombs from many of the writers. Here are a couple shots of my yarn bombs! Kaylie Jones wrote about her Portuguese nanny Judite. 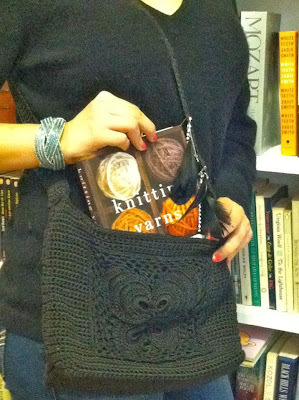 Her she is with a handbag Judite crocheted. 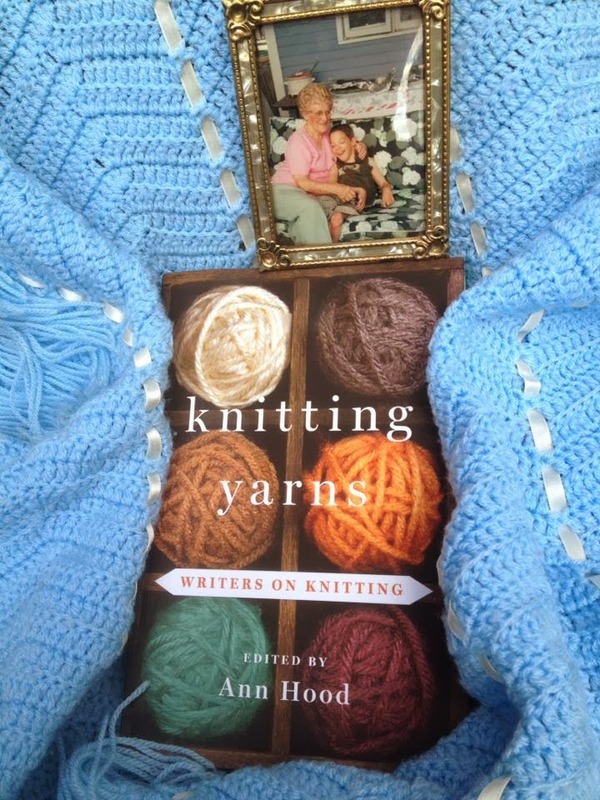 Marianne Leone wraps her book in beautiful sky blue yarn with a picture of her mother. 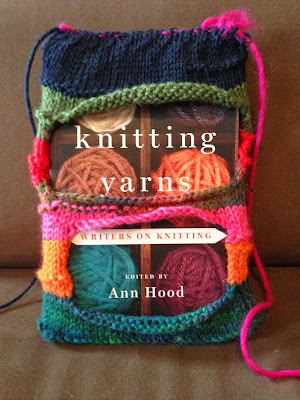 Without knitting, she writes, she wouldn't be here! 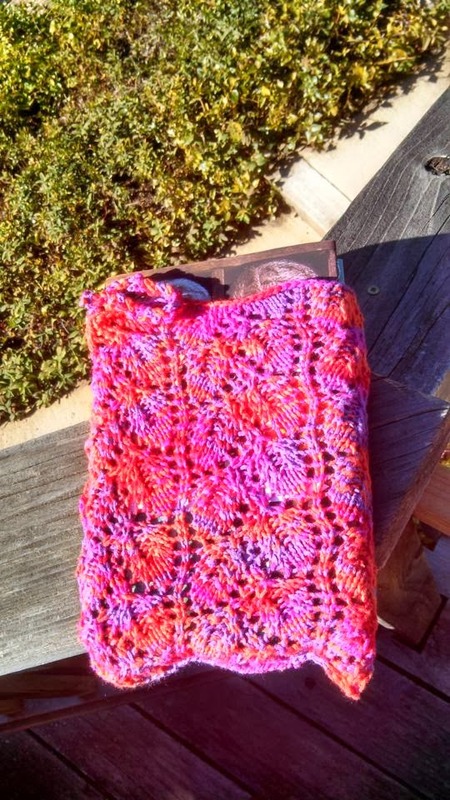 Jane Smiley knit her copy in the most beautiful and intricate pattern--with beautiful bright yarn, too!